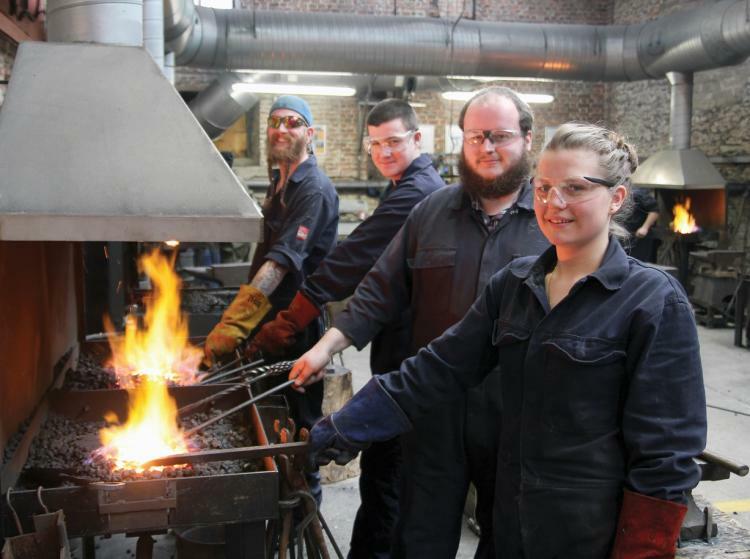 Kingston Maurward College has announced that four fortunate Welding, Fabrication and Blacksmithing students will benefit from Worshipful Company of Blacksmiths bursaries this year, with a combined value of over two thousand pounds. Wg Cdr Martin Heath, Clerk to the Worshipful Company of Blacksmiths, said “We have very strong links with the College through blacksmith Simon Grant-Jones. We were particularly impressed with the submissions from Millie Gilpin and Dafydd Llewellyn-Jones and would like to highlight their connections with the travelling community and Service veterans respectively.